Derek is a second generation Realtor and native Northern Californian. He has been around real estate his whole life and both of his parents are currently Realtors. He specializes in getting buyers' offers accepted and working with sellers to reach their goals in this competitive market. Prior to a career in Real Estate, Derek ran his own social media marketing, graphic design, and video production company. He received an M.S. in Sports Business while working on the sales team for the Rose Bowl Renovation and with Cam Newton as his personal social media player promoter for the United Way. Derek also worked at Foothill Horizons Summer Camp for eleven years and was Director for six of those summers. He currently lives in the Canterbury Village neighborhood of Concord with his wife, Jen, and is a proud father of their newborn daughter, Emerson. 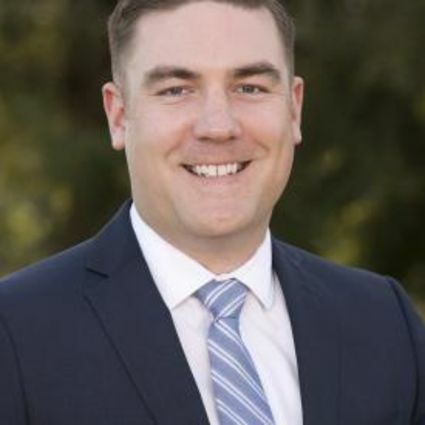 Outside of real estate, Derek is the chair of the Walnut Creek Young Professionals and a member of GenR in the International Rescue Committee. Derek enjoys trying new recipes in the kitchen, wine tasting with his wife and exploring the parks and open spaces of the East Bay with his family and their dog, Nana the goldendoodle.